Hey guys, since Christine is going to be posting more regularly I thought it would be a good idea to sort of introduce ourselves.Unfortunately since I got a new phone I do not have any silly clinical pictures of us, but be on the look out for them soon. Megan: So since this is my blog, I cannot remember what I have or have not shared already. I am about to be 22 years old and a senior in nursing school. I would not consider myself “outgoing”, but I am not terribly shy either. I am addicted to gum (Orbit sweet mint) and elephants! I have no idea what sort of niche or unit I would like to get into with nursing, but am excited to see where it takes me. 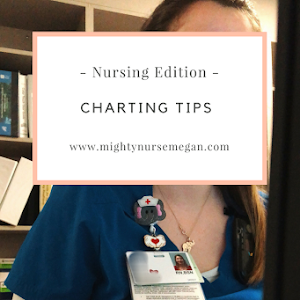 Christine: I briefly introduced myself in my first guest post, but to recap, I’m 21 and entering my senior year of nursing school alongside Megan. Like Megan, I’m not super outgoing, but when we get together, we definitely get a little crazy! I cannot start my day without at least one cup of coffee and I’m sucker for chips with a huge helping of guacamole and cheese piled on top. 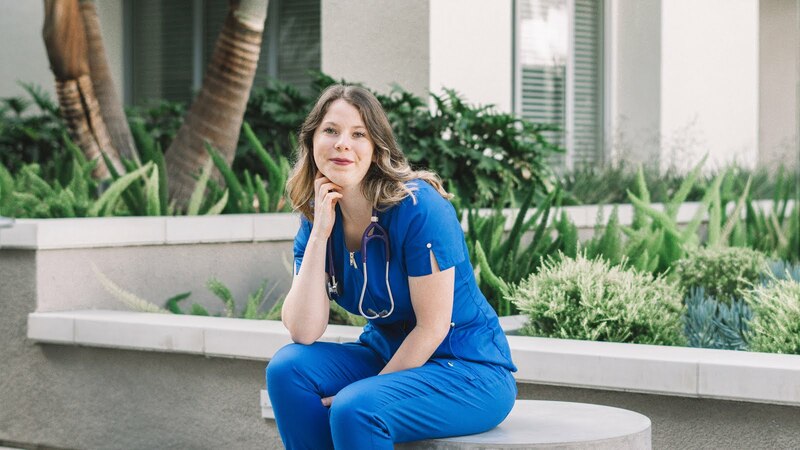 Like Megan, I do not really know what exactly I want to do with nursing, but I have a few ideas (Post-partum, NICU, or something with Veterans). I’m so excited knowing I have my entire future ahead of me and I cannot wait to see where it leads me! What has been your favorite part about nursing school thus far? Megan: My favorite part thus far is probably my clinical rotation for OB. I was an emergency C-section baby, so it was exciting to see what I went through during birth. Also how can you not fall in love with the newborns. 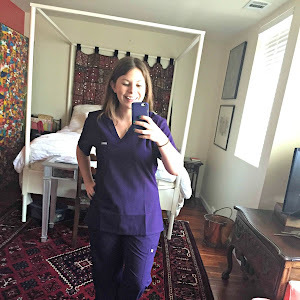 Christine: I think my favorite part of nursing school has been my OB rotation as well, but for a very different reason. Before my rotation, I was convinced I absolutely did not want to work with pregnant women or newborns because they were too emotional and fragile. After watching my first delivery (and almost passing out!) I cried harder than the baby and I realized it was because I was able to share that precious moment with a family. I had a complete change of heart and fell in love with the entire birthing process. I do know, however, that I am not entirely a fan of labor and delivery, but post-partum was what really got me because the babies were so tiny and adorable. Megan: My least favorite part has been the lack of organization with my school. Unfortunately my class has been the one to experience new teachers who are still trying to adjust how they will run their class/what they will teach. Eventually it all works out in the end. It also seems like getting our clinical placements is always difficult. However, I know that is not in the control of my professors. Christine: I think my least favorite part is the lack of communication, within my program, between classmates, clinical groups, constantly changing deadlines and due dates with no word about it, and miscommunication because of lack of communication. It has been incredibly frustrating to try to get work or tasks done when the information is constantly changing with only last minute communication about everything. Would you have changed anything in nursing school? Megan: For me, I would have changed how I presented myself on social media. I know it is exciting what you experience in clinicals, but you really have to be careful with what you posts. My professor warned me one time after clinical that I could not tweet “I held a baby for 30 minutes at clinical today and it was amazing”. Take everything as a learning experience, but do not post it. Christine: I think I would have studied harder and joined a study group my first year. My second semester in med-surg I almost did not pass. I thought I had understood all the material and knew everything we had gone over in lecture. While I did know everything we had gone over, I had failed to successfully apply the knowledge I had, and thus performed poorly on my final exam. Luckily a different test grade had been high enough that my low final grade was not an issue, but if I had joined a study group, talked through the information, quizzed myself and used a study buddy to bounce questions off of, I would have done much better. Where do you see your nursing career headed? Megan: I think I will probably just start out on a med/surg floor for experience, but I hope to maybe go into high risk antenatal. Of course I want to also get my masters in nursing. I am unsure if I will try for my NP. Christine: Eventually I would like wind up in the NICU or, after pursuing a Masters as a clinical nurse specialist, I would like to work somewhere in women’s health or even educating other nurses. How did you handle your first semester? Megan: My first semester was a bit easier than for other people because of my CNA class that I took in high school. However, I still struggled learning how to study for nursing exams. Once you realize that they do not test on knowledge then you can adjust your techniques accordingly. 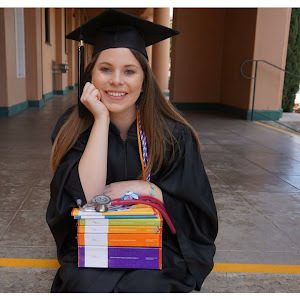 Christine: It was definitely an adjustment period going from memorizing everything from anatomy to actually applying skills and knowledge during a nursing exam. I learned best in clinical where I could be hands-on while applying and developing my assessment and analysis skills. Megan: I did not know I wanted to be a nurse until I was a senior in high school. I took a nursing assistant course and just fell in love with patient interaction. But I have always been a caring person and taken care of my family when they were ill.
Christine: I knew I wanted to be a nurse since before preschool. My grandmother, my uncle, and my God-mother were or are nurses and I loved growing up hearing their stories. I have always felt it was my calling to be a nurse, and luckily, once I got into my first clinical, I knew this is what I was meant to do. How many semesters have you studied so far? Is it hard for you? Megan: I am about to start my fifth semester of six. Yes they have been challenging, but lots of studying and hard work has paid off. 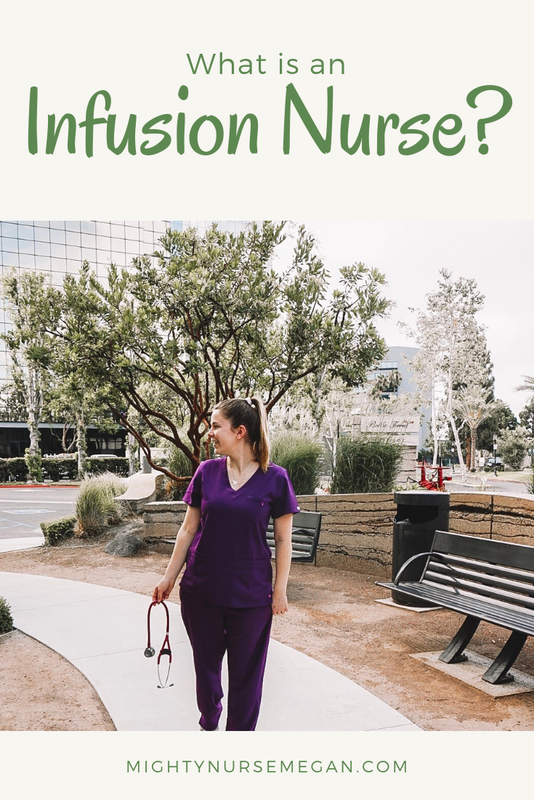 Christine: Going into my 4th year of college, it is my third year in the nursing program (freshmen year was technically prenursing); so, I’m going into my fifth semester of nursing. It was a struggle at the beginning because I had to learn how to adjust to a different style of learning. Now, most things seem to be common sense and come almost naturally. How are you finding a balance between life and nursing school? Megan: For me, I just plan my days well. Most of my friends are in my nursing class so hanging out with them is usually studying, but we make sure to just hang out every once and awhile.. I also am single so do not have to worry about making time for a boyfriend. As for my family and friends, they are all very supportive and understand that sometimes I do not have time to chit chat with them. Christine: At the end of my classes when I have some down time, I like to go to the gym, blast my music, and forget about things for a while. That has been my biggest escape, especially this last year when we got into more advanced subjects and busier clinicals. Organization has been key to allow for the perfect, or at least manageable, balance of a social life in nursing school. Share with us a little about yourself down below.